The Ford Mustang is a two-door coupe or convertible that's become an American institution and calling card. With the Mustang, Ford coined the term "pony car." The Mustang made the two-door sporty coupe a permanent fixture on the American automotive landscape. Although not its intended mission, the Mustang has evolved into a performance car with true track and racing potential, evidenced by its growing pedigree and superlative Shelby GT350. For 2020, a new Shelby GT500 promises more than 700 horsepower delivered to the Mustang's rear wheels. For 2015, the Ford Mustang underwent radical change, and though not even on sale a year, was already being gifted with faster versions, including the most high-performance pony car Ford has ever offered. The newest Mustang was announced just before the nameplate's 50th anniversary celebration, which took place at the 2014 New York auto show. For the first time ever, Ford sells this Mustang globally, giving it sleeker looks and updating the chassis to finally include an independent rear suspension setup. The interior has been improved, and Ford added a turbo-4 back into the lineup to bring high performance and fuel economy together. The track is wider to accommodate the new rear suspension, and the front geometry has been reworked to match the performance front to rear. Crash structures have also been designed to accommodate the regulations in the various markets in which it will be sold. Under the hood of the 2015 Mustang, buyers will find one of a trio of engines: the familiar 3.7-liter V-6, a new 2.3-liter EcoBoost 4-cylinder, and a more powerful 5.0-liter V-8. 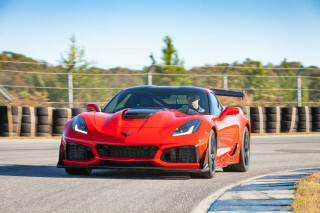 The V-6 delivers 300 horsepower and 280 pound-feet of torque; the new EcoBoost unit, which features turbocharging and direct-injection technologies, offers up 310 hp and 320 lb-ft of torque; and the V-8 is rated at more than 435 hp and 400 lb-ft of torque. 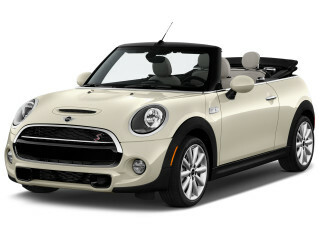 A 6-speed manual transmission remains standard while a 6-speed automatic with paddle shifters is available. 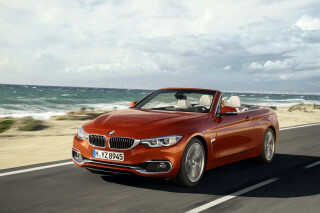 A convertible is also available in this first year of production. 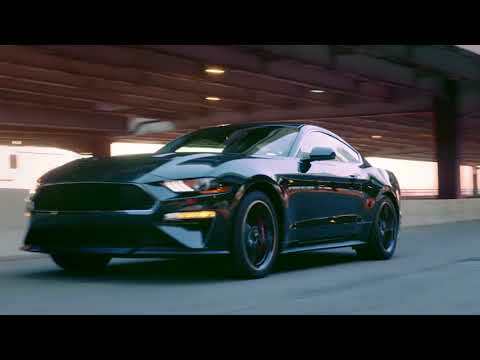 High-tech features available in the new Mustang include driver-adjustable stability, steering, throttle, and transmission systems; launch control; a line lock function for burnouts and improved launches; and SYNC with MyFord Touch. Ford massaged the Mustang's silhouette to provide a larger trunk and engineered the new car to meet crash standards in countries around the world to allow for the expanded global sales. The 2015 models were offered in a Mustang 50 Year limited edition package to celebrate the half-century of pony cars. It included extra badging, louvers over the rear side windows, and some unique interior touches. All 50 Year cars were coupes with the 5.0-liter V-8, available with either a manual or an automatic transmission. Ford used the 2014 L.A. auto show to debut one of its most potent new Mustangs, the Shelby GT350. Stepping back from the last Shelby's big supercharged V-8, the GT350 uses a more modestly sized, normally aspirated 5.2-liter V-8 with a flat-plane crank, promising over 500 hp and an 8,000-rpm redline. 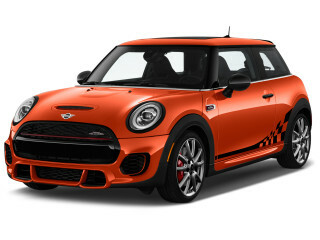 The package also includes serious chassis upgrades, like magnetic shocks, as well as a completely unique front clip and other Shelby-specific styling details. Building on the GT350, Ford has also announced a GT350R version that competes with the world's best cars. It's lighter than the standard GT350, with extensive use of carbon fiber, including the material's first use in wheels on a mass-produced car. Other R upgrades include deletion of the rear seat and stereo, a lack of trunk lining, and aluminum used in strategic locations, all of which will help the car shed pounds. So as not to leave a good thing alone, Ford brought several updates and new options to the 2016 Mustang. GT models get a new hood with turn-signal indicators integrated into the hood vents, a throwback to second-gen Mustang models. There's also a new California Special package available, similar to the appearance packages of the past, available on the GT. And EcoBoost 'Stang buyers can opt for the Pony pack. Upper trim levels also get the new Sync 3 infotainment system that is beginning to roll out across Ford products. 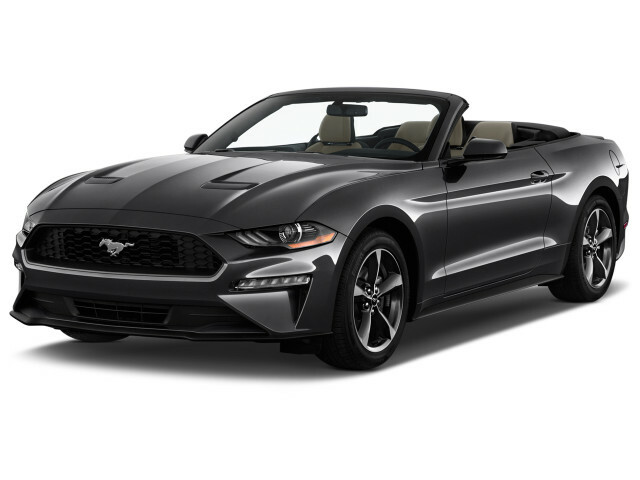 For 2016, Ford's Mustang Convertible is available with the Performance Package. That model includes a standard multi-layer insulated cloth top that gives the car a more upscale appearance and a quieter cabin, according to Ford. The new top also lowers twice as fast as before, and has a sleeker profile when down. The Mustang Shelby GT350 returned to the lineup in the 2016 model year, powered by a flat-plane-crank 5.2-liter V-8 with 526 horsepower. It makes the most of the Mustang's finessed chassis dynamics—and introduce a series of aero and chassis upgrades, including Ford's first application of magnetically controlled dampers. For the 2017 model year, the Track Package has been made standard on the GT350. In the 2018 model year, the Mustang adopted some mild style updates, gained new transmission and suspension features, and added a digital display. Left on the cutting-room floor: the long-running V-6 option. For 2019, the Bullitt nameplate returned, and Ford added a B&O Play audio system to the Mustang lineup. A Performance Pack 2 option stiffened the suspension and added massive, sticky tires, in the quest to give the standard Mustang GT some of the Shelby's performance magic—and it worked. The Mustang was the unexpectedly, wildly popular response to the rise of the sporty compact car in the early 1960s. GM had the Chevy Corvair in its stable already when Ford, under the direction of auto legend Lee Iacocca, conceived of its own "personal car"—one that would appeal to buyers looking for an image. By reskinning the existing Falcon runabout with a stylish, enduring new body, Ford had a hit. The Mustang made its world debut at the 1964 World's Fair in New York on April 17, 1964. Within four months, Ford had sold 100,000 copies, and by 1966 the Ford Mustang coupe and convertible logged more than a million sales. Most early Mustangs were powered by 6-cylinder engines, but V-8 versions grew in popularity as the Mustang developed a muscle-car personality in models like the Shelby GT350 and GT500 and the Mach 1. Basic Mustangs were affordable transportation; the V-8 cars quickly escalated the muscle-car wars, pitting Ford's best against the Chevy Camaro, Pontiac Firebird, and the Plymouth Barracuda. A fastback body style added a graceful new look to the stable in 1967, and trim and performance packs of every stripe greeted each new model year in the Mustang's infancy. As the 1960s turned into the 1970s, the Mustang began to lose traction. By the time a new took shape in 1971, safety and emissions rules were eviscerating all the muscle cars. Power peaked with the 1971 Mustang Mach I, and fell each year until Ford took the drastic step of downsizing the car into the 1974 Mustang II. Lighter and much shorter, this Mustang also shared some running gear with the Ford Pinto. A sales hit at first, the Mustang II dented the name and the reputation—and Ford quickly planned a new car, spun from the new Ford Fairmont's rear-drive platform. The "Fox" platform Mustang arrived in showrooms in 1979, and soldiered on in that basic form until 1993. Along the way, Ford experimented with a 4-cylinder Mustang alongside V-6 and V-8 companions. The V-8 became the GT in 1983, convertibles returned to the lineup that same year, and a turbocharged SVO began its short life in 1984. In the late 1980s Ford planned a front-drive Mustang replacement, but before it launched the vehicle it changed direction. The rear-drive Mustang got revised sheet metal, while the front-drive coupe emerged as the 1989 Ford Probe. Performance models included the Cobra R and SVT editions, as Ford progressively rebuilt the Mustang's reputation for performance. In the 1990s, the Mustang migrated from the by-then outdated look of the 1993 model, to the heritage-themed styling of the 1994-2004 edition. It also rode on a heavily revised chassis that eventually settled on V-6 and V-8 engine combinations. The 5.0-liter V-8 went away, replaced by the durable, powerful 4.6-liter V-8—but the Mustang retained its live-axle rear end. Reshaped and refined in 1999, the Mustang drove on and on until it had outlived the Chevrolet Camaro and Pontiac Firebird—both of which ended production in 2002—and until a new Mustang was ready for the 2005 model year. With the 2005-2009 Mustang, Ford finally exorcised the Mustang's reputation for clumsy live-axle handling and dated structural engineering. The new car proved tight and well-built, not to mention great-looking, an ideal blend of modern and heritage styling themes. With revamped 6- and 8-cylinder engines, new automatic and manual transmissions, a new convertible model, and Shelby and Bullitt editions along the way, this Mustang sold hundreds of thousands of copies each year while competitors like the Nissan 370Z and Hyundai Genesis Coupe emerged from their respective drawing boards. For 2010, Ford carried over most of the Mustang's mechanicals, while smoothing its sheet metal with a more forward-canted grille and by installing a much better interior. In 2011, the Mustang received new powertrains—with the V-6 earning a 31-mpg highway fuel economy rating, and the V-8 bringing back the "5.0" badge, along with 412 hp. Supercharged Shelby GT500 editions of this V-8 represented the most powerful Mustangs of this generation, but a special racing edition brought back the Boss 302 designation—and charged ahead with a 444-hp, normally aspirated 5.0-liter V-8, less curb weight, and a TracKey package that let drivers dial up performance on closed circuits. The Mustang carried over into 2011 and 2012 with only minor changes, but the 2013 model year brought some more modern details to the Mustang's look—including HID headlights, flanked by two strips of LED lighting, plus LED lights with a dark-tinted look, as well as a blacked-out area in between. Inside, the Mustang got a new TrackApps feature that times acceleration or quarter-mile times. 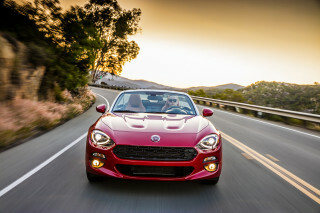 The electric power steering also gained three-stage, driver-configurable settings. Powertrains along with most else were carried over, although the V-8 was boosted to 420 hp. Also new for 2013 was an even more potent version of the Shelby GT500—packing a 662-hp, 5.8-liter V-8, in coupe and convertible forms, with the hardtop capable of a claimed 200 mph top speed. This is my second GT (first 1993). This one has a manual transmission that is the smoothest shifting ever. I have had this car for two weeks. It is the most fun to drive car I have ever had. Plenty of power and looks fantastic. This new mustang is sporty and so much fun to drive. I have had several but this new style and suspension takes the prize. There are more creature comforts than I can list, and the performance is outstanding.